The Fire Service program at ECC is designed to provide full time and volunteer fire departments with the opportunity to develop knowledge, practical skills, and certification in modern firefighting, rescue, officer development, and fire department management skills. Programs are open to all fire departments in North Carolina. A broad range of specialty classes, based on both department needs and new training standards, are offered during the year on the college campus or at various fire departments. Fire Service classes that require physical exertion and use specialized departmental equipment are offered to credentialed fire service personnel only. 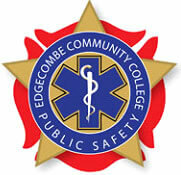 Please complete and return the Public Safety Agency Affiliation Form to Edgecombe Community College prior to the start of your course. If you are not sure that you qualify for fee waiver status, please click here for more information.